The Liberty Fire Company No. 4 was started in 1908 as the fourth of four fire companies in the Borough of Schuylkill Haven, joining the Rainbow Hose Company No. 1 (established 1885), the Schuylkill Hose Company No. 2 (1892) and the Friendship Hook and Ladder Company No. 3. The Friendship Hook and Ladder merged with the Rainbow Hose in 1910, leaving the borough with the three fire companies it currently has today. 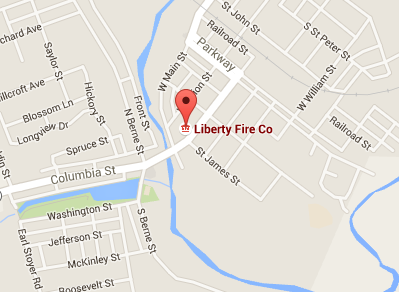 The Liberty Fire Company originated in the same location that it holds today at 223 West Columbia Street. The original meeting place and firehouse was a single, two-story stone dwelling that is still utilized as part of the firehouse today. On the first floor there was a double-swinging garage door in which the apparatus was kept. In the early days, a team of horses from the Faust Garage had to be brought to the firehouse in order for the fire engines to respond to the call. Sketchy details from “old war stories” tell us that there was no room or money for the Liberty Fire Company to have its own horse team. So a kind member who operated a garage loaned the Liberty his team to transport the equipment. Due to extensive remodeling and the passage of time, the records of the Liberty Fire Company No. 4 from 1908-16 cannot be found. In 1916, logs indicated Charles Faust, perhaps the owner of the horse team, served as company fire chief. Martin Kerschner was the president. Records are incomplete of the early years of the company. The company did have some hard times in the beginning, as a report dating back to the 1916-18 period said the chief of Schuylkill Haven, after inspecting the borough firehouses, found that the Liberty Fire Company No. 4 was inoperable at fires due to the fact that it only had one nozzle. Since those early years, the Liberty Fire Company has had 19 presidents and 19 fire chiefs. One of those leaders was Jacob Moyer, who was an early pioneer of the Liberty Fire Company. Moyer served as the company president from 1923-46, and again from 1949-51 after Theodore Umbenhauer was president in 1947-48. Moyer was also the company fire chief from 1944-51. No longer with us, Moyer is indeed a legend in Liberty Fire Company history. After Moyer’s 26-year reign as company president, Lyman Ketner guided the company business from 1952-71. Other company presidents include Guy Miller (1972-79 and 1986-88), Ivor Griffiths (1980-82), Robert “Boat” Peel (1982-85), Mark “Gomer” Krammes (1989-91), Bill Quinter Sr. (1992-93), Leroy Boyer (1994-97), Jason Sterner (1998-2003 and 2006-08), Mike “Chopper” Margavage (2004-06), Mike Gossard (2009-13), Aaron Schimpf (2014-15) and Greg Semanco (2016-17). Faust served as the fire chief from 1916-17 and again from 1920-22. C. Geary was the chief in 1918-19, followed by Christ Schumacher (1923-25), Paul Hinnershitz (1926), Joseph Hartranft (1927-29), Ed Geary (1930-33) and Harry Hepler (1934). William Umbenhauer served as the Liberty Fire Company chief from 1935-43, followed by Moyer’s reign from 1944-51. Other fire company chiefs include Elmer Reber (1952-61), Glenn “Grump” Sattizahn Sr. (1962-68), Ed Hornacek (1969-81), John “Dunk” Dohner (1982-85), Steve Schnoke (1986), Robert “Boat” Peel (1987-1993), Andy Motko (1994-96 and part of 2013), Rick Kremer (1997-2012), Dennis Snyder (2013-15) and Keith Sweigert (June 2015-present). Sattizahn actually served as both the chief of the Liberty Fire Company and as an assistant Schuylkill Haven borough chief from 1963-68 until relinquishing company chief duties to Ed Hornacek in 1969. Paul Hinnershitz was an assistant borough chief until 1963. Sattizahn was an assistant borough chief for 18 years, from 1963-80, until Bill Quinter Sr. took over in 1981. Quinter served as an assistant borough chief from 1981-92 before Robert Peel took over in 1993. Peel became the Schuylkill Haven borough chief in 2003 and served through 2012. Andy Motko replaced Peel as the Liberty’s borough representative and was an assistant borough chief from 2013-present. The Liberty Fire Company struggled with its apparatus in the early years. That changed in October 1921, as the Liberty accepted delivery of its first motorized apparatus, a Hahn chemical engine for which the company paid $3,250. The Liberty bought a Hahn 500 gpm rotary gear pumper in March 1929 for $3,775. Many stories have been told about these two pieces of firefighting memorabilia, how the chemicals had to be mixed and what happened if they weren’t mixed correctly. In November 1948, the Liberty purchased its first modern piece of firefighting equipment, a 1948 Mack L-Model sedan-cab 750 gpm pumper for $15,585. The “48”, as it was better known, served the company from 1948-81, when it was sold to local businessman Donald Houck. The 1948 has also been owned by Jeff Jones of Orwigsburg and Mike Kitsock of Pottsville in recent years. Nine years later, the Liberty expanded its apparatus by purchasing a 1957 Mack B-Model 750 gpm pumper for $18,992. For years the Liberty ran dual Macks, as the “48” and “57” faithfully served the borough of Schuylkill Haven. The 1957 pumper served the company until 1994, when it was sold to Todd Evans and Ed Yeich for $5,000. The pumper is now owned by the Schuylkill Historical Fire Society. Through the SHFS, the Liberty was able to utilize both the 1948 and 1957 pumper for parades, Pennsylvania Pump Primers competitions and other events after their retirement. In 1975, the Liberty upgraded its fleet by purchasing a tanker/pumper from Car-Mar Fire Apparatus in Berwick. Car-Mar was later purchased by KME. Fitted on a Dodge chassis, Tanker 738 had a 1,000 gpm pump and a 2,000-gallon square, stainless-steel tank. It was the first yellow-colored apparatus in the company’s history. A rare piece of apparatus for its time, Tanker 738 served as both a first-out engine and a mutual-aid tanker for rural fire calls. With only a two-man cab, Liberty personnel rode to the calls on the tailboard of Tanker 738. Countless stories have been told of how firefighters got dressed in the back compartments of the Tanker, or on top of the hose-bed. Having a tanker earned the Liberty calls to several neighboring communities on a regular basis, and to major fire as far away as Shenandoah and Gordon. In 1981, the Liberty went back to Car-Mar for its first “custom” pumper. The Liberty took delivery on a windy April day of a 1981 Car-Mar/Spartan 1,250 gpm pumper that carried 750 gallons of water and was equipped with 1,000 feet of 5-inch, large diameter hose. Engine 737, as it was designated, served the company until 1997, when it was sold to Bay Fire Apparatus in Alabama. The Liberty also owned a Ford station wagon in the late 1970s and early 1980s for fire police duties. In 1991, the Liberty started looking into purchasing a new tanker to replace the 1975 Dodge, which was sold to a dealer. After an extensive search, the company purchased a 1992 tanker from 4-Guys Fire Apparatus in Meyersdale, Pa., for $108,000. The new Tanker 738 was fitted on an International chassis with a five-man, enclosed cab, 750 gpm pump and a 2,000-gallon cylindrical tank. It is still in use today. The purchase of the 1992 International/4-Guys tanker started a string of several apparatus purchases in the 1990s that saw the company greatly improve its firefighting fleet. In 1994, the Liberty purchased a refurbished 1980 Mack CF 1,000 gpm pumper from Larry Taylor in Wysox, Pa., for $39,000. The Mack pumper has previously served the Fire Department of New York as Engine 50 in the Bronx. The company made many improvements on Wagon 736 over the years to increase its capabilities. Utilized as a hose wagon, Wagon 736 serves as a supply engine and carries 2,000 feet of 5-inch large diameter hose. Wagon 736 was refurbished again in 2009 by Swab Fire Apparatus in Elizabethville, with $24,600 worth of work done to fix rust in the compartments and undercarriage, improve the cab and repaint the back half of the apparatus. In 1997, the Liberty made its biggest apparatus purchase to date, buying a new custom pumper from 4-Guys for $180,000. The new Engine 737 replaced the 1981 Car-Mar, which was sold. Housed on an HME chassis, Engine 737 featured a five-man, enclosed cab, a 1,250 gpm pump and 750-gallon tank. It serves as the Liberty’s first-out engine. In 2002, the Liberty bought a used 1994 Med-Tec/International ambulance from the Schuylkill Haven Lions Club ambulance for $20,000 and converted it into a special services unit. Squad 739 replaced a Chevrolet van that had served the company for over a decade as a personnel carrier. Squad 739 contained a three-tank cascade system and at one time housed all of the equipment for the Liberty Fire Company members of the Schuylkill Haven Water Rescue Team. Squad 739 served as a personnel carrier for all calls, and responded to dive calls pulling a boat the company purchased for the water rescue team. The boat was later sold to the Pine Grove Hose, Hook and Ladder Fire Company. Squad 739 served the Liberty until 2015, when it was sold to the Schuylkill Haven Fire Police for $5,000. The Liberty upgraded Squad 739 to an engine in 2015 with the purchase of a 1992 Pierce Arrow pumper from the Good Will Hose Company in Cressona for $40,000. The new Squad 739 featured a seven-man enclosed cab and was equipped with a 1,500 gpm pump, 1,000-gallon tank and housed the three-bottle cascade system. The new Squad 739 served primarily as the company’s response vehicle for Rapid Intervention Team calls and as a second-out supply engine. The Liberty Fire Company still utilizes its original building at 223 West Columbia Street. The original structure houses the company’s social quarters and an upstairs meeting room/lounge. The front part of the company’s current engine room was built in 1948, with the rear addition built in 1971 to house four pieces of apparatus. Over the years, several renovations have been done. An office and engineers’ room have been added at the back of the engine room, a hose dryer and air compressor were installed, the company’s kitchen area was expanded and re-done and a walk-in cooler was added to the back of the building. In 2004, an area behind the engine that for years housed the kitchen and French fries area for the company’s block parties was enclosed to provide a home for the Liberty’s dive team equipment and boat. In 2008, the company completed extensive renovations to the social quarters and restroom areas after they were heavily damaged by the flood of 2006. Over its 100 years, the Liberty Fire Company has gone through its share of good times and bad times. ** Best Appearing Tanker won by the 1975 Dodge/Car-Mar tanker at the 1979 Pennsylvania State Convention in Reading. ** State runner-up Best Appearing Tanker trophies won by the 1992 International/4-Guys tanker at the state conventions in Norristown (1994) and Columbia (1996). ** Best Appearing Pennsylvania unit, second-place marching unit and Best Appearing engine awards at the Maryland State Firefighters’ Convention in Ocean City, Maryland, in 2014 and 2015. In its later years, the 1957 Mack was an annual winner at the Pennsylvania Pump Primers competition for antique trucks along the Susquehanna River in Harrisburg, taking top honors in fastest draft for a centrifugal pump several times. 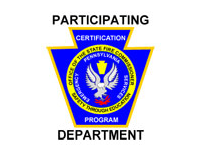 The Liberty Fire Company was also a proud contributor to the overall best fire-service entry awards the Schuylkill Haven Fire Department captured at Schuylkill County Volunteer Firefighters’ Association conventions held in Mahanoy City (2002), Pottsville (2004), McAdoo (2005), Pine Grove (2006, 2012), Pottsville (2014) and Tremont (2016). The Liberty Fire Company hosted Schuylkill County Firefighters’ Association Conventions in 1983 and 2008, and combined with the other two companies to host the convention in 2000. The Schuylkill Hose hosted the county convention in 1992 and 2017, and the Six-County Convention in 2015. 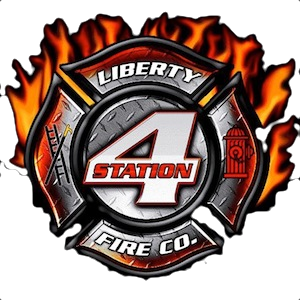 The Liberty Fire Company is also proud to say that it has had several of its company go on to become professional firefighters or paramedics: Herbie Berger, Steve Schnoke, Keith Shive, Chris Fisher, Glenn Sattizahn are professionals in the fire service, while Jason Sterner and Ed Yeich are paramedics. Highlighting the bad times were the two occasions the Liberty Fire Company’s home was ravaged by flood waters. The Liberty was under water in 1972, when Hurricane Agnes hit Pennsylvania, and in June 2006, when the Schuylkill River overflowed its banks and engulfed the lower section of the borough. Some things that were constants have been discontinued. The Liberty used to operate a bar that was open to the public. It was closed in the late 1980s. The Liberty also held an annual block party for decades on the first weekend in August. While a fun time for all, the block parties were stopped in 1999. The Liberty also held an annual golf tournament for more than a decade until 2007. Recently, the company has held a Summer BBQ Bash in late May/early June, starting in 2013. 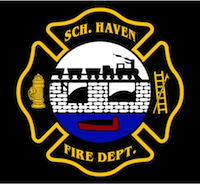 Currently, the Liberty Fire Company is proud to serve the Borough of Schuylkill Haven and its surrounding communities, and is willing to provide assistance whenever needed. We appreciate all of the support we’ve received from the borough’s residents and other two fire companies, and hope to be able to protect and serve for another 100 years.